But Crytek has a very good reason for doing it. Demos, it is worth bearing in mind, don't just happen. To give you an early look at the game, developers divert attention away from the game itself to spend time working on the demo instead. And that's something Crytek isn't keen to do right now. The German studio behind this autumn's PC shooter Crysis has revealed that to prevent the possibility of delaying the game, it has decided instead to push back the demo, which was due later this week, according to CVG. The demo will now only be released on 26 October. Crytek said that it needs extra time, "to make sure you that you have an amazing experience but also we did not want to risk the release date of Crysis at this stage". 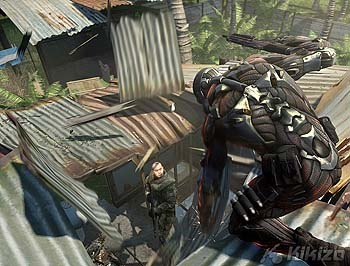 Because of the shift in attention, Crytek is more confident now that it will hit the announced release date for Crysis of 16 November.